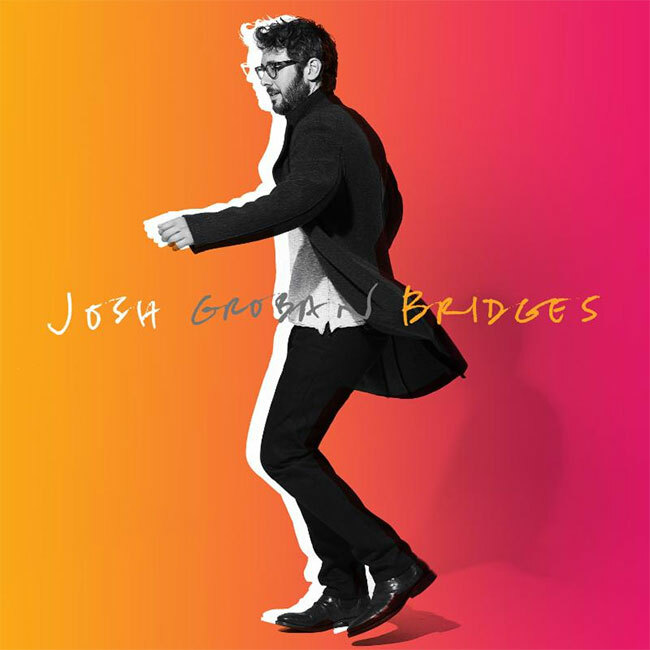 Josh Groban has announced his eighth studio album entitled, Bridges, which will be released on September 21st via Reprise Records. The album will be available on CD and Deluxe CD, and fans who pre-order will receive three instant grat downloads of new songs including: the new single, “Granted,” along with songs “Symphony” and “S’il Suffisait D’Aimer.” The deluxe edition contains two bonus tracks. This is Groban’s first album that includes original music since 2013. Recorded in Los Angeles, London and New York with multiple producers including Bernie Herms and Toby Gad, Steve Jordan, Dan Huff, and others. This album also finds Josh singing in multiple languages including English, French, Italian and Spanish. There will also be a couple of exciting duets, to be announced at a later date. Earlier this month, Groban co-hosted the the 72nd Annual Tony Awards alongside Sara Bareilles at Radio City Music Hall in New York City. The broadcast this year drew 6.3 million viewers on CBS, an increase of four percent from the six million who watched last year. The pair were praised for their hosting abilities: “Bareilles and Groban aced their duties on their own terms, displaying terrific chemistry and making it less about themselves than their infectious enthusiasm as out-and-proud theater geeks” (The Hollywood Reporter), “From a song about “the people who lose” to another about the life of a Broadway star, the pair rocked it” (The Huffington Post), “It’s safe to say that the evening’s host and Broadway-loving BFFs Sara Bareilles and Josh Groban made Broadway magic as emcees” (Broadway.com). Groban recently wrapped filming for the new Netflix original series, The Good Cop, starring opposite Tony Danza. The show will be available for streaming on September 21st. In March, Groban announced his Fall 2018 Arena tour. Joining him throughout the tour is Tony-Award winning, multi-platinum recording artist and actress, Idina Menzel.